Fully protected, secondary by high speed, micro-processor controlled, resettable electronic trip. 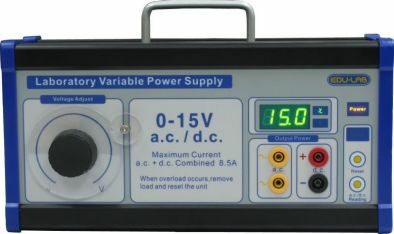 Over-current is measured and timed for cases of serious overload and slight overload to decide tripping time This avoids over-sensitive tripping in cases of initial heavy current surge, for example when using lamp bulbs. Slow-blow fuse protection for primary transformer. Additional Thermal Trip protection for transformer. Schottky barrier diodes are employed for rectification with less voltage drop and power waste, thus eliminating the need for noisy, hot, cooling fans that are liable to fail. 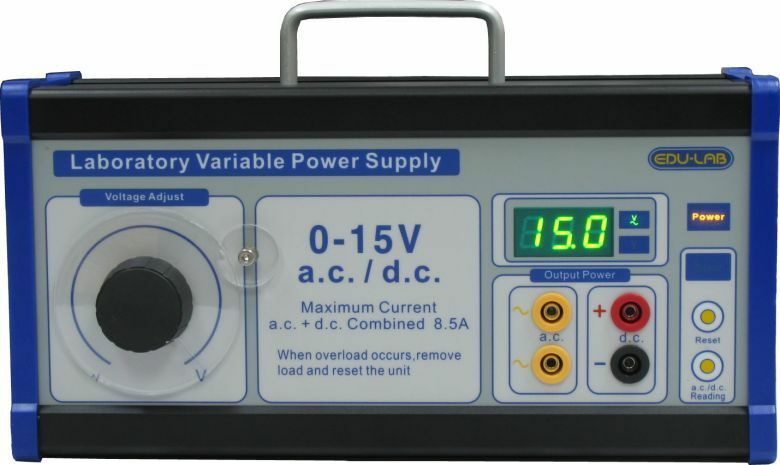 • Slightly smoothed DC (by 2200µF output capacitor) gives practical r.m.s values of 0 -15V at no load.